As a copywriter, I don’t just write for social media, I shoot for it too. 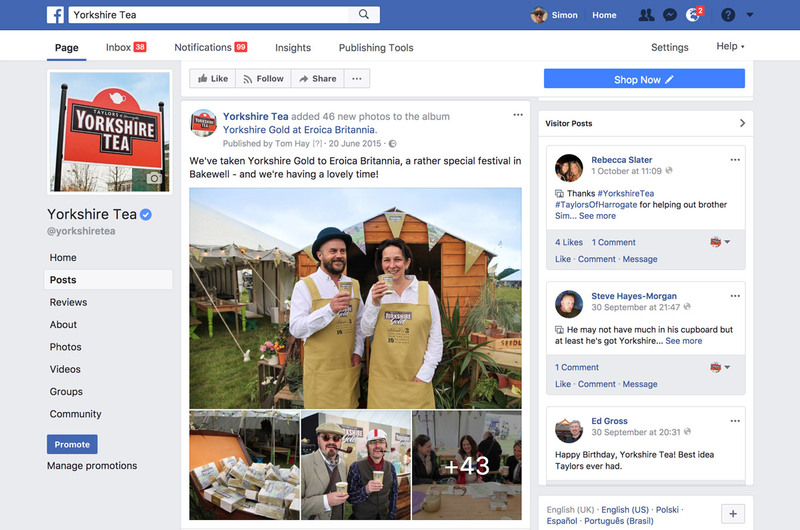 When collaborating with Yorkshire Tea, I also attended many different events where they had a promotional presence and shot still photography and video. 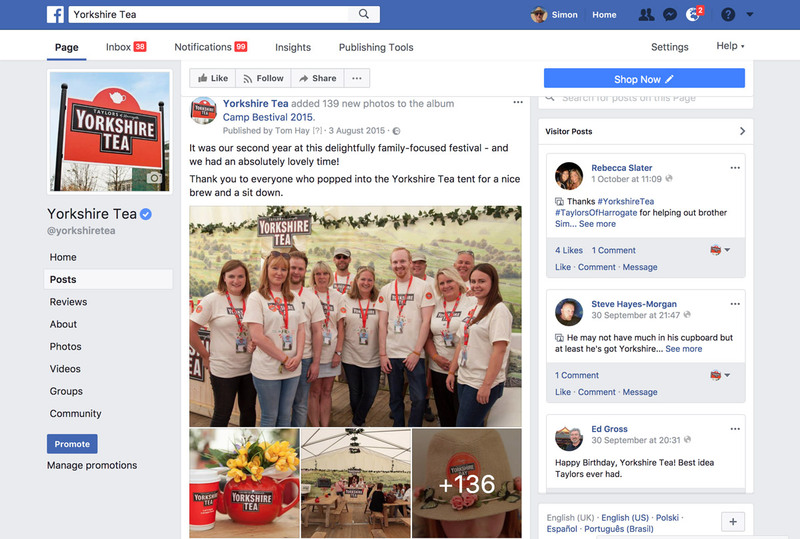 The turnaround was fast and the stills were used to promote the event whilst it was still live, encouraging people to visit the stand and join in the fun. Videos took a little longer but were shot, directed and edited entirely by myself. 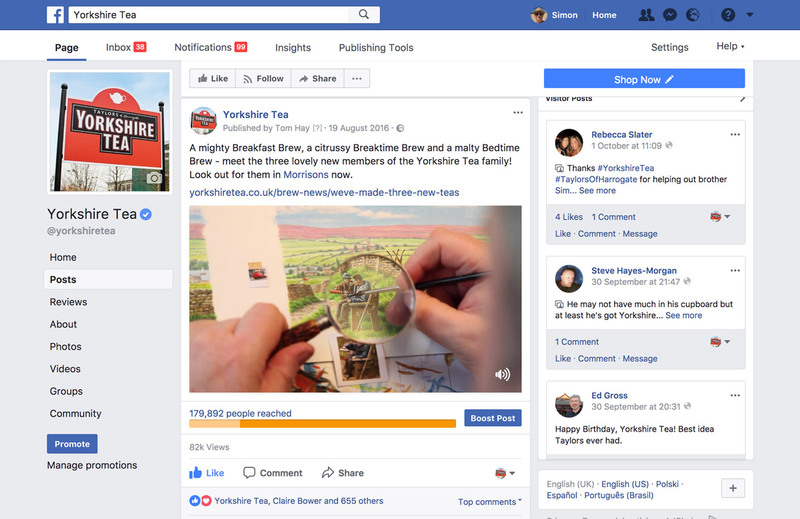 I was entrusted to capture the unique flavour of each event. 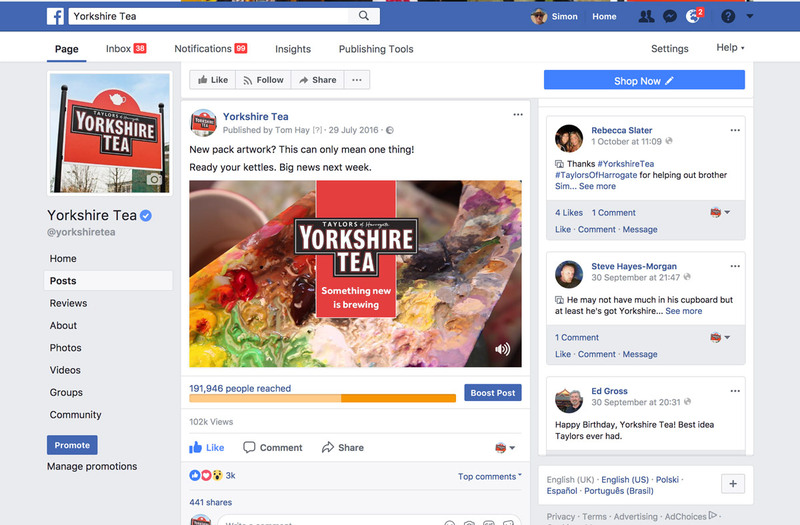 I also shot videos of what happens behind the scenes at Yorkshire Tea to give followers on social media a rare glimpse of just how properly Yorkshire Tea do things.